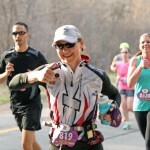 Nancy Eastman executes @ Martian Festival of Races! IRONMAN prep. phase is in full stride….